Aha! With the exception my Clarisonic Mia, everything thing else is in some shades of blue and white. I guess packaging in this color scheme sell a sense of cleanliness and purity to the customers. 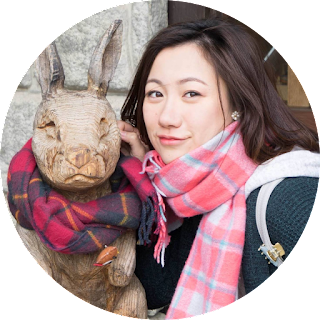 Read on for my brief description of my cleansing and skincare routine. 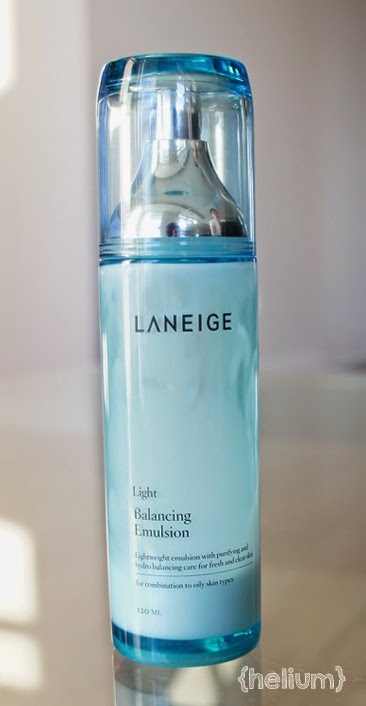 Lancome Bi-facil Eye Makeup Remover (sample size in the photo) - I've been using this gentle and effective eye makeup remover almost daily for at least the past 5 years (if not more). The product suspends in two phases, is lightly scented, gets the job done well and fast, and doesn't sting the eye! Shiseido Perfect Watery Oil (sample size) - this nifty little bottle came with my Shiseido Perfect Whip purchase as a bonus. I was new to the concept of double cleansing at the time (oil cleansing followed by foam cleansing for complete makeup removal). It has a very light pleasant scent and functions as a makeup-removing oil for the face. I use this mainly for days when I put full make-up on. *Clarisonic Mia - I put an asterisk beside this one because I've only started using this since March ... although our time together has been short, I have thoroughly enjoyed using this exfoliating brush to deeply remove makeup and dead skin cells. The result is always baby smooth skin :) Gotta go easy on the tender cheeks though; I'm thinking about getting sensitive brush heads when these regular ones gets dirty and old. Shiseido Perfect Whip Foam Cleanser - I keep telling everyone this is THE BOMB when it comes to foam cleansers. One thing I noticed about Japan is how many goodies they keep for their domestic markets and do not export/or even advertise globally. It foams up really well with a little bit of water into fine foam, smells ever so light, and removes everything if you've done removing eye makeup. Gentle, foamy and effective, the Perfect Whip is my holy grail foam cleanser at a gasping 299 yen (3 dollars), directly purchased from Japanese drugstores/beauty marts. You can also find it online and some local Asian supermarkets/beauty stores in the GTA. 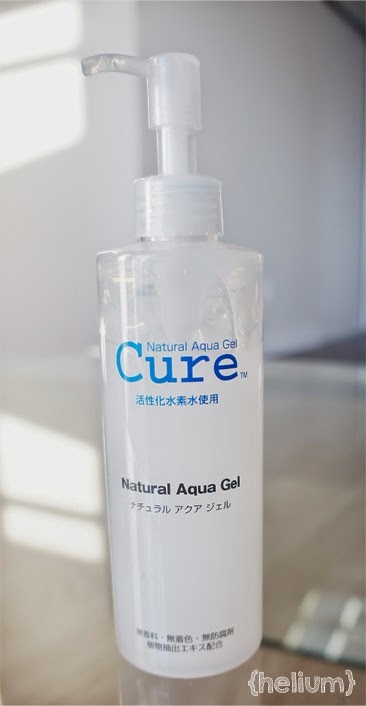 Cure Natural Aqua Gel - Another raved item by beauty youtubers, I had to try this artificial coloring-fragrance-preservatives-alcohol FREE exfoliating gel. It is made up of 91% revitalized hydrogen water and natural plant extracts, which gently removes dead skin cells when massaged into the skin. 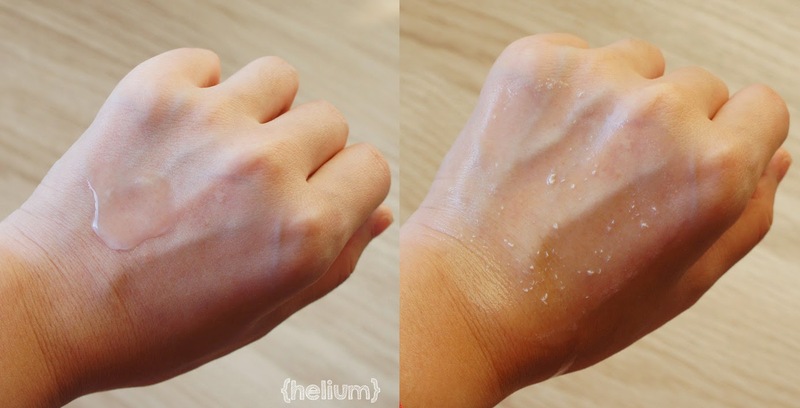 Here is a little peek at what happens when 1 full pump of product (a bit too much) is used on my hand. I use this about once a week (when I remember to exfoliate XD), followed by a sheet mask/sleeping mask aftewards. yay for dead skin debris! Juju Cosmetics: Aquamoist Moisture Lotion - this toner was recommended by Bubzbeauty, my favourite beauty youtuber years and years ago. It's ever-so-slightly thicker than the average watery toner, and is free of artificial coloring, alcohol and animal-origin ingredients. It's very moisturizing and definitely a saviour in the dry winter months. 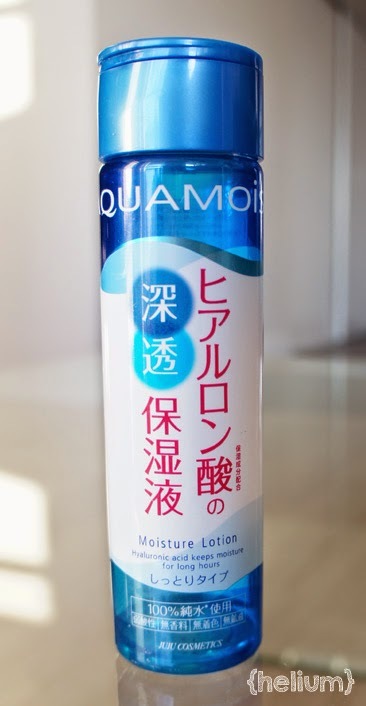 It was only 600 yen (~6 dollars) and I'm glad I picked up a refill for 500 yen when I was in Japan -- just refilled the bottle today :D Because it's so cheap, I pour drops generously onto cotton pads and then wipe my entire face to prep for skincare routine. Best of all, it really beats my past toners from prestige brands in its ability to clarify and moisturize without the reek of alcohol -- it's fragrance-free! 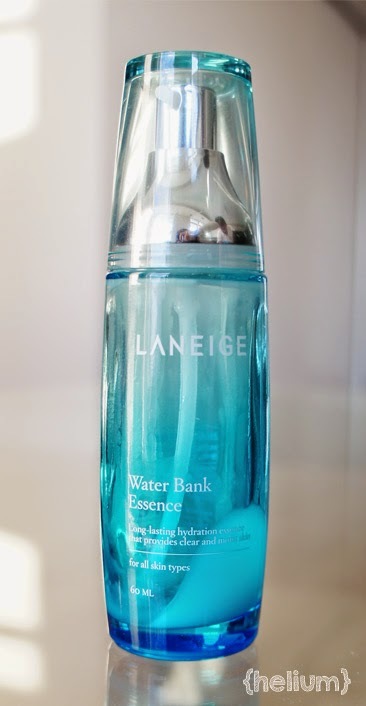 Laneige:Water Bank Essence (80ml) - this transparent blue glass bottle has really helped quench my cheeks' thirst (lol) during the long and dry Canadian winter. The hygienic pumping mechanism dispenses the product with watery gel-like consistency which is lightly scented (the signature laneige scent of light and fresh florals). Upon spreading gently with fingers, this product absorbs like a dream and does not leave any stickiness. So the above pretty much wraps up my skincare staples of the past school year. I am currently splurging on new products to try... after all, our skin is ever-changing with age and lifestyle (and I'm currently looking to target the emergence of fine lines 😂). Do you have any skincare products you swear by? Leave a comment below!